Positive Detroit: The 2nd Annual Freep Film Festival, March 19-22 Including Funny Or Die Feature! The 2nd Annual Freep Film Festival, March 19-22 Including Funny Or Die Feature! The second annual Freep Film Festival, March 19-22, features a bigger, more diverse lineup that will give attendees an inside look at the area’s arts, music, history, challenges and aspirations. Throughout the four days, there will be more than 20 programs, including six world premieres, one U.S. premiere and seven Michigan premieres. They will be screened at some of Detroit’s best venues – The Detroit Film Theatre at the Detroit Institute of Arts (DIA), The Fillmore Detroit, Museum of Contemporary Art Detroit and Cinema Detroit. Opening night Fire + Water double feature: Produced by the Detroit Free Press’ Emmy-winning video team, opening night includes two films: “Fire Photo -> 1” profiles Bill Eisner, who has been photographing fires in Detroit for more than 50 years and “Graveyard of the Great Lakes” explores the underwater world of David Trotter, who has discovered nearly 100 Great Lakes shipwrecks. ‘Funny or Die with the Farahs: The Tension Between Truth and Entertainment’Ann Arbor-raised brothers Christopher and Mike Farah have made their careers straddling the seriously hilarious and the hilariously serious, most prominently at the humor website Funny or Die, where Christopher is a consultant and Mike is the president of production. Many of their projects have capitalized on some element of what is commonly called “reality”: “Billy on the Street,” “American Muscle,” “@midnight,” “Between Two Ferns.” That specialty will be the jumping off point for this Freep Film Festival program, which will include clips from their projects and conversation between the two brothers about what it all means. 12:30 p.m. Saturday, March 21, at the Elizabeth Theater (above the Park Bar). “Detroit Industry and the Ford Motor Company Motion Picture Laboratory”: This program documents Diego Rivera and Frida Kahlo’s time in Detroit while Rivera painted his famous “Detroit Industry” murals at the DIA. The footage – most of which has never been screened publicly – follows Rivera and Kahlo from start to finish of the murals, revealing the intricacies of his work as well as casual moments between the couple. “Being: Kem”: From homeless on the city’s streets to nationally charting R&B star, the story of Motown recording artist Kem. “Detroit Dog City”: The city’s stray dog problem is seen through the eyes of the Detroit Dog Rescue crew. “Let’s Have Some Church Detroit Style”: A spiritual journey with award-winning gospel group the Hallelujah Singers. While the movies are reason enough to attend screenings, Freep Film Festival offers attendees more. Every program will include further engagement – from panel discussions with directors and film stars, to musical performances, dance parties and more. Details about the festival’s lineup can be found at freep.com, freepfilmfestival.com and in the Free Press print edition. 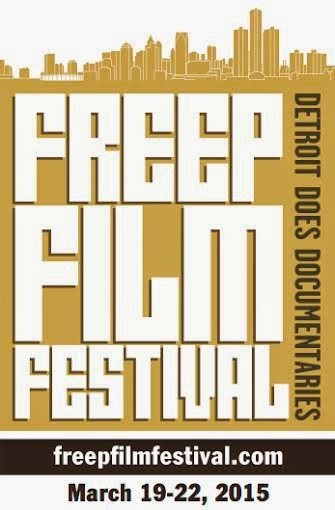 For even more information, follow the festival on Twitter @freep_film_fest and Facebook.